A new filling in an ongoing lawsuit claims Facebook's apps read texts, tracked locations, accessed photos and listened through device microphones. 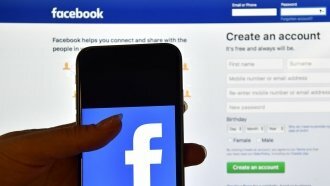 Facebook has been accused of using its apps to gather information on users and their friends — even those not on the social network. A new filling in an ongoing California-based lawsuit claims Facebook's apps read users texts, tracked their locations, accessed their photos and listened through device microphones. Former startup Six4Three initially filed the lawsuit in 2015 after Facebook ended a policy that gave third-party developers access to user info. The Guardian, which first reported the new claims, says the filing pulls from confidential emails and messages between Facebook executives. A Facebook spokesperson told the Guardian the "claims have no merit." The lawsuit alleges that on Android, Facebook could access text message data and that on iPhones, it could access most photos — even if they hadn't been uploaded to Facebook. These new allegations come as Facebook is seeing backlash at home and abroad about how it deals and protects with its users data. Facebook CEO Mark Zuckerberg met with European Union lawmakers earlier this week to discuss the company's use of personal data, among other things. He made a similar trip to the U.S. Senate in April. And in March, it was revealed that data firm Cambridge Analytica harvested data from over 50 million Facebook profiles. That information was reportedly used to target American voters during the 2016 presidential election.